and one long, dry kiss. A native of Enniscorthy, Co. Wexford, Ireland, Wall has lived in the US since 1982. 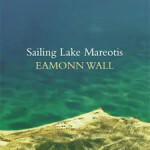 He is the Smurfit-Stone Professor of Irish Studies and Professor of English at the University of Missouri-St. Louis and has written six books of poems: Sailing Lake Mareotis (2011); A Tour of Your Country (2008); Refuge at De Soto Bend (2004); The Crosses (2000); Iron Mountain Road (1997); and Dyckman-200th Street (1994). 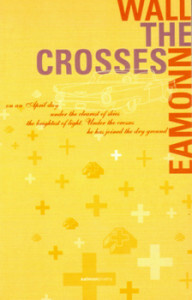 All six were published by Salmon Publishing in Ireland. His poems have also appeared in a number of journals, including The Shop, Poetry Ireland Review, Cyphers, West47, TriQuarterly, Crab Orchard Review, South Dakota Review, River Styx, The Recorder, New Hibernia Review, Eire-Ireland, and Nebraska Review. 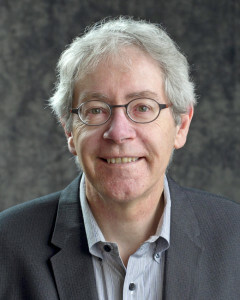 His essay collection, From the Sin-e Café to the Black Hills, was published by the University of Wisconsin Press in 2000 and awarded the Michael J. Durkan Prize by the American Conference for Irish Studies for excellence in scholarship. His poetry and prose have appeared in a number of anthologies; specifically, The Book of Irish-American Poetry from the 18th Century to the Present; Irish Writing in the 20th Century: A Reader; Wexford Through Its Writers; Flood Stage, An Anthology of St. Louis Poets; and The Big Empty, Contemporary Nebraska Nonfiction Writers. His next collection, New and Selected Poems, will be published by Salmon in 2014. WALL: What gets me thinking about poems the most is being out of doors walking or being indoors sitting quietly. In these two situations, the first more so than the second, my body and mind are guided toward composition. I hear sounds, lines come to me, memories flood in, and I begin to experience being in the world at a deeper level. Reading can also take me to this place and listening to music. In such situations, I am not distracted by nonsense or static and reminded again that I am a writer whose job is to write. To discover the world by writing about it. To communicate with an audience. But, being the eldest of eight children who grew up in a noisy and lively household, I have learned how to write, and to read, anywhere. I work most productively in two or three hour bursts. HUERGO: How would you describe your drafting and revision process? How do you move from idea to poetic line? WALL: I am an old-fashioned pen and paper poet. If I have an idea, if something catches my ear or eye, if I hear something said, or read something in a book, I will sit down and write a rough draft. I might achieve some result quickly, or, more often than not, it will take time to articulate or shape the idea. Later, I’ll go back to the notebook and add some material. Eventually, I’ll type and revise the poem. At times, these various revisions can take a few years though this is generally not the case. One thing I have learned though is that countless revisions don’t always make the poem work better. This is the idea we used to describe in Ireland as flogging a dead horse. Nowadays, this is not a politically correct comment. A student said to me once: “Why would anyone want to flog a horse–dead or alive?” I understood immediately that she was right. Though the first draft is the most important one for me, it’s the poem’s foundation, I greatly enjoy the whole drafting process, the revisions leading me in fresh directions of discovery. It’s a kind of magic. I am very happy and quite mellow when I am working on a writing project. The key aspect in writing poems is form, in my case. Working in free-verse means being in search of the correct form for the material. I am guided by voice, breath, sound, and flow more than anything. At other times, I will be guided by more traditional metres or by assonance and alliteration. There’s a lot of back and forth, give and take, and a great deal of asking of the poem to give up the secret of its shape. I am pretty patient. Lots of things frustrate me in the world but not writing. Even when it’s hard, it’s cool. And I feel this way about prose-writing too. Even when it’s difficult, I feel I am making some progress. If a poem fails, I have learned something and not wasted time. If I want to waste time I watch CNN or Law and Order!! HUERGO: As an Irish poet who has lived in the US for so many years, what is the significance of landscape in your writing? What is the relationship for you between landscape and identity? WALL: Place and landscape are important for me. Always in my mind’s eye are the various landscapes of Co. Wexford where I grew up in Ireland: the town streets, the river, the mountains, and the sea. The land in Co. Wexford is the richest in Ireland for mixed agriculture: I see the barley being blown about and the cows and sheep quietly engaged. But I learned to become a writer in America, and American urban landscapes (New York and St. Louis, in particular) are important. Also, I have traveled in the American West and written about it a great deal. I dream about it. I have been formed by landscape: Irish and American. Because I carry it with me wherever I go, I do not actually miss being in Ireland. I see my identity in landscape and vice versa. As an immigrant, I have two landscapes–the Irish and American–and as a person who has moved around the US, I have multiple identities and landscapes. I am defined by multiple allegiances. I am like many people in the contemporary world. This is an aspect of the richness that we, the immigrants, give to America. At my core, I often think, that being an immigrant is what actually defines me best. People ask me: “Are you Irish or American or Irish-American?” I say take your pick. I am happy with all three. Sometimes, I imagine that I am none of the above, that I am, for example, a man wearing a hat working on a Mexican farm or an Angolan fisherman hauling in the catch. WALL: Many people have made it possible for me to follow this life path. My parents always encouraged me and never made me feel that reading was an inferior and anti-masculine activity. They had great faith in education and were happy when I was reading and writing. Of course, they worried about what sort of future (income, job) a writer might have and were happy, and maybe a bit surprised, when it led to me getting a job. Though it was as a traditional academic that I got a job. For them, all things were connected and that’s how I see it too. My father was a journalist and my mother is a retired businesswoman. Neither of many parents had college degrees but this in no way curtailed their intelligence. Always curious, forward-thinking, funny, full of deep faith and a fine sense of the absurd, with a wealth of wisdom to pass along. Ours was a house of songs and stories, and so a good nurturing space for a would-be writer. 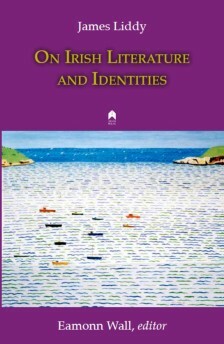 This year, I edited two volumes of Irish poet James Liddy’s essays On American Literature and Diasporas and On Irish Literature and Identities for Arlen House/Syracuse University Press. James Liddy was the friend and teacher who helped me get a scholarship to come to the US to graduate school, and this was the making of me as a writer. Friends and family provide great help when we know that they are wishing us well, when they remind us that the work we do is important. As a writer, I find this kind of community important. In my case, because I am not part of a creative writing program, I rely on various friends and colleagues scattered across the US and Ireland. WALL: I have two current projects. One is a volume of New and Selected Poems to be published in 2014-2015. At the moment, I am working on the new poems. 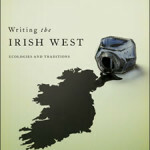 I’m also working on a prose book exploring connections between Ireland and America. A few of the chapters have been published–on Rory Gallagher, the late, great Irish blues guitarist and songwriter, and on the poet Michael Coady–while others exist in draft form. I’ll add some chapters on my own experience as an immigrant in America and on immigrants in Ireland, a recent and an important phenomenon resulting from the Celtic Tiger of recent times. 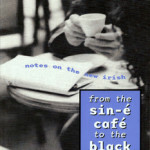 This book, like my first prose book, From the Sin-e Café to the Black Hills: Notes on the New Irish (University of Wisconsin Press, 2000), will be a multi-genre book incorporating creative non-fiction and literary criticism, and perhaps some fiction too. But New and Selected Poems comes first. On the back burner is fiction. I wrote and published short-stories in the early 1990s but stopped because I knew that I could not be a poet, scholar, and fiction writer as well as being a husband, parent, and a college teacher trying to figure out the tenure system in a strange country. But I have a little more time now that our children are grown and a leave is coming up, so I might give fiction another go. During the Spring semester of 2014, I will be Heimbold Chair in Irish Studies at Villanova University. This entry was posted in Interviews with Poets & Writers and tagged "Returning to Dublin", A Tour of Your Country, An Anthology of St. Louis Poets; and The Big Empty, and Nebraska Review, Co. Wexford, Contemporary Nebraska Nonfiction Writers, Crab Orchard Review, Cyphers, Dyckman-200th Street, Eire-Ireland, Enniscorthy, Ireland, Iron Mountain Road, Michael J. Durkan Prize, Natural Bridge, New and Selected Poems, New Hibernia Review, Poetry Ireland Review, Professor of English at the University of Missouri-St. Louis, Refuge at De Soto Bend, River Styx, Sailing Lake Mareotis, Salmon Publishing, Smurfit-Stone Professor of Irish Studies, South Dakota Review, St Louis, The Book of Irish-American Poetry from the 18th Century to the Present; Irish Writing in the 20th Century: A Reader; Wexford Through Its Writers; Flood Stage, The Crosses, The Recorder, The Shop, TriQuarterly, University of Missouri, University of Wisconsin Press, West47 on September 1, 2013 by ehuergo.